There aren’t any “miracle” pills out there that will torch fat in the absence of diet and exercise, but when you’ve exhausted your own fat-burning capabilities, exogenous supplementation is the ace up your sleeve that will help you achieve that ultra-lean physique. Just don’t underestimate the importance of adhering to a post-contest plan! Fat loss 101: Create a deficit between energy expenditure and energy intake. Eat less, move more. Here’s the problem with this protocol: Our bodies are smarter than we are! Relatively speaking, we haven’t evolved that much since the caveman days. Our bodies are designed to survive, so when they sense an energy deficit for a prolonged period of time, they adjust the metabolic rate accordingly. One way the body adapts is by producing fewer thyroid hormones. This is one reason our fat-loss efforts plateau. So we eat less and move more. But at some point it becomes inhumane to drop calories or increase cardio any further, and there’s still a couple of abs that we can’t see yet. So how do some competitors mitigate this unfortunate conundrum? By artificially raising their metabolic rate with metabolism-boosting substances such as clenbuterol and T3. Pharmaceutical T3 (known in the medical world as Cytomel or liothyronine) is a synthetic analog of the thyroid hormone triiodothyronine. It’s one of the hormones produced and secreted by the thyroid gland (located in the front of the neck), and it travels to virtually every cell in the body to stimulate cellular metabolism. Synthetic T3 is a staple amongst bodybuilders and bikini competitors alike. The coveted “magic weight-loss pill,” it’s presumably guaranteed to torch those final fat deposits and get you up there in the first callout. The other most important hormone produced by the thyroid is T4. T4 is an inactive hormone that gets converted into T3 after it leaves the thyroid gland. T3 is about four times more potent than T4. T3 is significantly more popular in the bodybuilding world because it’s much faster acting and one chemical reaction closer to boosting metabolic rate. At moderate concentrations, T3 increases protein synthesis (thus improving the effects of anabolic steroids), enhances the release of fatty acids from adipose tissue, increases heart rate, improves digestive motility, and ramps up basal metabolism. It also enhances the heart’s response to catecholamines, which is why it’s often coupled with clenbuterol. In the bodybuilding world, it’s common practice to run T3 for the final six weeks of contest prep. Men will often start at 25 mcg and increase by 25 mcg every four days or so until they reach 100 mcg daily. Females customarily use about 50 percent of male dosages. So, I’ve bored you nearly to death with the scientific wish-wash… let’s get down to brass tacks. By the end of this article, you’re going to know something far more important than how or why your prep coach tells you to take this stuff. You’ll know how to come off of it safely and effectively, and ramp your own thyroid gland back up. As both a longtime competitor and a health-care professional, I firmly believe in the importance of handling the aftermath with as much care as (if not more than) the pre-contest “supplementation” regimen—especially if one plans to subscribe to this (incredibly rewarding) sport for longer than one or two shows. I don’t think I need to sugarcoat it—we’re an assemblage of humans who revel in pushing ourselves to new limits; often by whatever means necessary. We might do our first show or two just to say we did it, but by the third or fourth, we’re aspiring to bigger goals, and we’re well aware of the tools our fellow competitors are employing to show up and give us a run for our money. Am I going to deter you from using T3 and beating up your thyroid gland? No. I know that! I won’t even bother trying. But, I owe it to the sport to educate those of you who are going to do it anyway. So let’s discuss how to come off of this stuff properly. The message board bros will tell you either that T3 does not cause suppression of natural thyroid production or that it’s totally fine to go cold turkey because natural thyroid production returns to normal in one to two weeks. 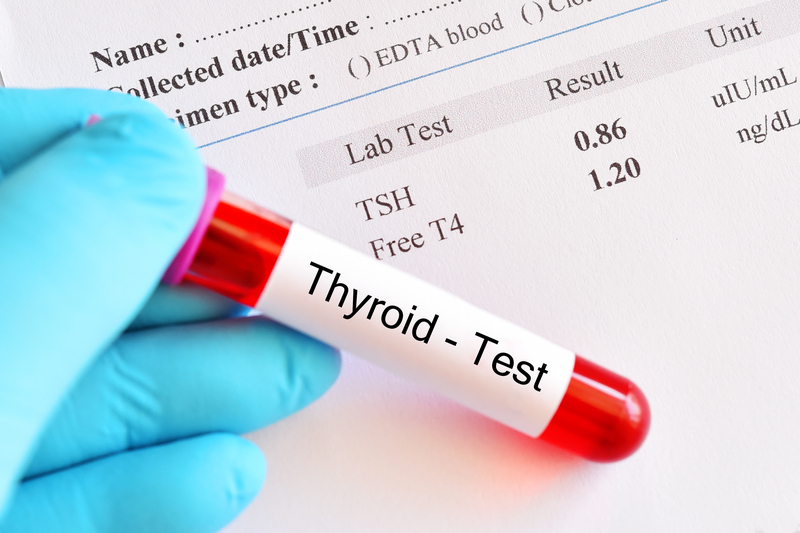 This is based on a study published over 60 years ago that shows that the thyroid’s uptake of iodine returns to normal within two weeks—but the study didn’t measure actual thyroid hormone production levels. The official Cytomel monograph states that in normal individuals, it will take six to eight weeks for the HPT (hypothalamic-pituitary-thyroid) axis to recover after discontinuation of T3. Since product monographs aim to be as conservative as possible, and since most competitors don’t use T3 for longer than six weeks, it’s fair to assume that eight weeks is the high end of recovery time. There haven’t been any controlled experiments done in healthy euthyroid bodybuilders, but if we assume a time frame of three to four weeks of impaired thyroid function following discontinuation of T3 (coupled with impaired adrenal function, decreased cardio, and increased caloric intake), a lot of damage can be done in three to four weeks. Unless you’re a freak of nature, you’re going to gain some weight after your show (duh). But the slower this happens, the happier and healthier you’ll be. After a contest, it’s crucial to taper off of this stuff and supplement with products that are proven to stimulate natural thyroid hormone production. Tapering regimens don’t have to be complicated. However you titrated the dosage, you can wean off using the same protocol. For example, if you started at 25 mcg a day and increased by 25 mcg a day every four days, decrease your dosage by 25 mcg a day every four days. If at any point you experience intolerable hypothyroid symptoms (constipation, depression, dry skin, slow heart rate, cold body temperature) go back up to the previous dosage and stay there for a few days before reattempting to wean off. When you get to 50 percent of your peak dosage, initiate a natural thyroid supplement that includes the following compounds. Continue with the natural supplementation for four weeks. It’s also a good idea to employ adrenal support at this time, since supratherapeutic T3 supplementation overstimulates the adrenal glands. Ashwagandha contains withanolides, which serve as hormone precursors and can be converted into physiologically viable hormones as required. This herb also has adaptogenic activity, providing your body with the ability to withstand physiologic stressors. It’s best taken in the evening, due to its potential for causing mild sedation. The recommended dosage is 500 milligrams of a preparation standardized to 1.5 percent withanolides, taken once daily. L-tyrosine is an amino acid precursor to thyroid hormones. Additionally, it’s a precursor to dopamine and norepinephrine, which also tend to be depleted following prolonged intense exercise regimens. For thyroid stimulation, 500 milligrams three times per day should be sufficient; for adrenal fatigue, dosages in excess of 3000 milligrams per day are recommended. Another vital building block in the formation of thyroid hormones, iodine is combined with L-tyrosine to form T4 and T3. Roughly 30 percent of Canadians have a mild to moderate iodine deficiency; deficiency results in hypothyroidism, but a fine balance exists in which overconsumption can inhibit thyroid hormone production. A healthy thyroid gland only requires 70 mcg a day to produce the vital amounts of T4 and T3; the recommended dosage in hypothyroidism varies depending on the practitioner. Studies measuring thyroid-related parameters during iodine supplementation have elicited maximum daily intake recommendations of 1100 mcg per day. This herb has been used in Ayurvedic medicine for thousands of years to treat a wide variety of diseases from liver dysfunction to obesity. It has been shown in animal studies to increase iodine uptake, overall thyroid gland activity, and conversion of T4 to T3. The recommended dosage is 400 to 500 milligrams three times daily. Selenium is a crucial component of the enzymes involved in converting T4 to T3. While results are conflicting regarding the effectiveness of its supplementation in underactive thyroid activity, selenium deficiency is correlated with reduced conversion of T4 to T3. The recommended dosage is 200 mcg (0.2 milligrams) daily. Vagenakis AG, et al. Recovery of pituitary thyrotropic function after withdrawal of prolonged thyroid-suppression therapy. N Engl J Med. 1975;293(14):681-4. CPS [Internet]. Ottawa (ON): Canadian Pharmacists Association; 2016. Cytomel [product monograph]. Available from: http://www.e-therapeutics.ca. Brunton LB, Lazo JS, Parker KL, eds. Goodman & Gilman’s The Pharmacological Basis of Therapeutics. 11th ed. New York: McGraw-Hill; 2005. Natural Standard: Medical Conditions. Somerville, MA: Natural Standard Corporation; [n.d.]. http://ocom.naturalstandard.com/databases/conditions/all/a/. Accessed Sept 23, 2016.